We are WDC, a registered charity and company wholly owned and operated by WDC. 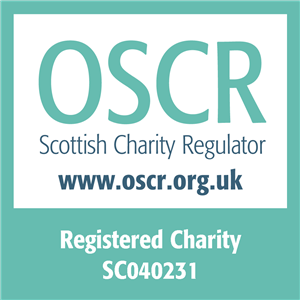 A company registered in England and Wales with company number 2737421 and a charity registered in England and Wales with charity number 1014705, and Scotland with charity number SC040231. Our registered address is Brookfield House, 38 St Paul Street, Chippenham, Wiltshire SN15 1LJ. When we provide services, we want to make them easy, useful and reliable. When services are delivered on the internet, it sometimes involves placing small amounts of information on your device, such as your computer or mobile phone. These include small files known as ‘cookies’. They cannot be used to identify you personally. Our websites may feature embedded ‘share’ buttons to enable users to easily share articles with their friends through a number of popular social networks. These sites may set a cookie when you are also logged in to their service. We do not control the dissemination of these cookies and you should check the relevant third party website for more information about these. Whether a cookie is ‘first’ or ‘third’ party refers to the website or domain placing the cookie. First-party cookies are, simply, cookies set by a website visited by the user – the website displayed in the URL window. Third-party cookies are cookies that are set by a domain other than the one being visited by the user. While there is no advertising on the WDC site you will find links to other sites for the purposes of processing payments, entering events or finding additional information. Each of these sites will have its own policy and is responsible for notifying you of its cookie usage policy. Most web browsers automatically accept cookies, but if you prefer, you should be able to change your browser settings to prevent that. You should read the information that came with your browser software to see how you can set up your browser to notify you when you receive a cookie. This should then give you the opportunity to decide whether to accept it. However, you may not be able to take full advantage of a website if you do so. Cookies are specific to the server that created them and cannot be accessed by other servers, which means they cannot be used to track your movements around the web. If you do not change your browser settings and continue to use our websites we will infer that you have consented to us using cookies for the purposes set out below. Where can I get more information about cookies and how to change my settings? To remove Google Analytics tracking please download the plug-in for your browser.